From Gatehouse Street, North Melbourne, we head into Royal Park, up the hill toward the large open space planted with native grasses. There, under a large eucalypt, we find a sign festooned with fairy lights: “Gather here.” The tree is lit from below with spotlights, and the whole park is the most spectacular night-time theatre. There is so much space, so much darkness and so many distant and attractive lights. And in the east, rising through the trees, a gibbous moon, lupine yellow. The performance begins with a ritualistic procession involving some 20 or so would-be votaries chanting and circling the audience in the dark. 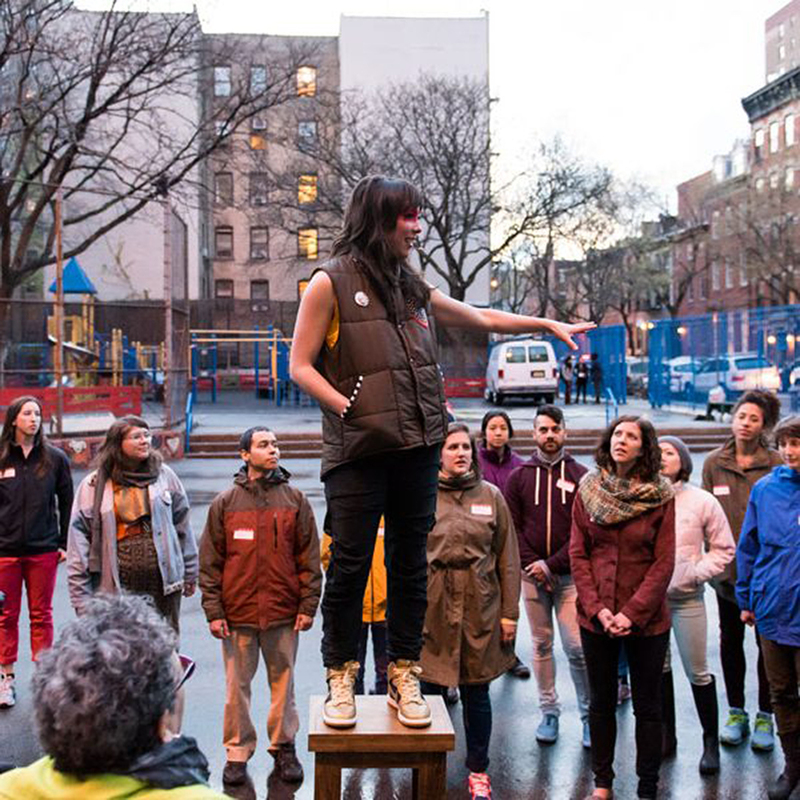 Then Emily Johnson, a New York-based writer and choreographer of Alaskan Yup’ik descent, standing on a box under the tree, addresses the crowd. She tells us that once there was another tree behind this one, and she points into the darkness. It’s as if she means somewhere else, not simply over there but on the other side of something profound. 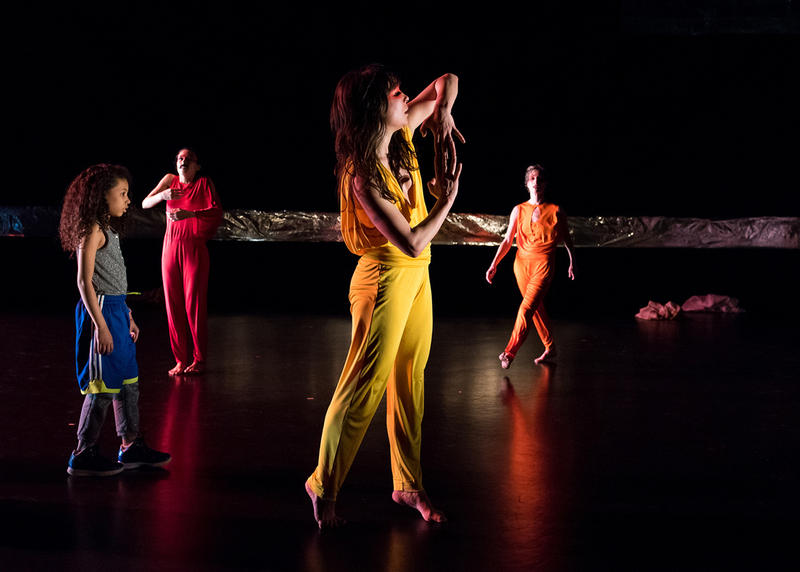 There are many such slips and wrinkles in this performance, gestures towards other realities, connections and openings between different epochs and cultures. What is it which gathers here, under the tree? People, yes, but also different times and places and traditions, fabrics drawn around a single dreaming point. Why, for instance, is the work called SHORE? We are meeting on the high ground overlooking the city, a long way from the ocean. Is this the site of a future shore? As we look south, across the ancient Yarra delta, in the direction of Bass Strait, are we looking forward to a time of inundation? Eventually, we are invited to walk to North Melbourne Town Hall; and it’s hard not to be moved by the invitation, what with the moon and the skyline and the tree so artfully illuminated. So, from Royal Park we follow the course of Williams Creek, an extinct watercourse that is not extinct, we are told, but only dormant, dreaming beneath the asphalt and concrete. So much for the first, wonder-exciting section of SHORE in NARRM, presented by Arts House as part of the Yirramboi First Nations Arts Festival. Although it’s only a prelude to the main event, the guided walk from the park through the cobbled laneways does much to channel the mysteries of night and to convey a sense of congregation. The second section, however, inside the main hall at the North Melbourne Town Hall, is less compelling. Again, we have a large cast of performers, including a choir led by Margot Bassett Silver and Indigenous-Australian singer-songwriter Maylene Slater-Burns. And again Johnson is at the centre, supported by dancers Ben Hurly and Jacqueline Aylward. Here the choreography is muscular and clean, with fierce lunges, swinging arms and long strides punctuated by juddering steps. This is authentic American modern dance, complete with bright retro-futurist costumes and stylised references to contemporary popular moves. And yet there are many other parts to this performance besides dance that Johnson insists are also dance. At one point, for instance, we hear a collage of television commentary from the 1991 NBA play-offs between the Los Angeles Lakers and the Chicago Bulls. Dressed in high school sports kit, a cast member slowly moves centrestage, stands and stares out into the audience. After a few minutes, on a signal from Johnson, the audio cuts out and the cast member drifts back into the crowd. At another moment, Johnson performs a series of handstands off a long run-up. The choir sings, pot plants are shifted around the stage by smiling cast members and snow jackets are distributed. What do these and other similarly cryptic moments and props signify? On what level are they connected? On what principle are they organised? Again there is the feeling that Johnson is gesturing beyond this time and place, back to her experiences growing up in Alaska or studying in Minnesota or whatever. 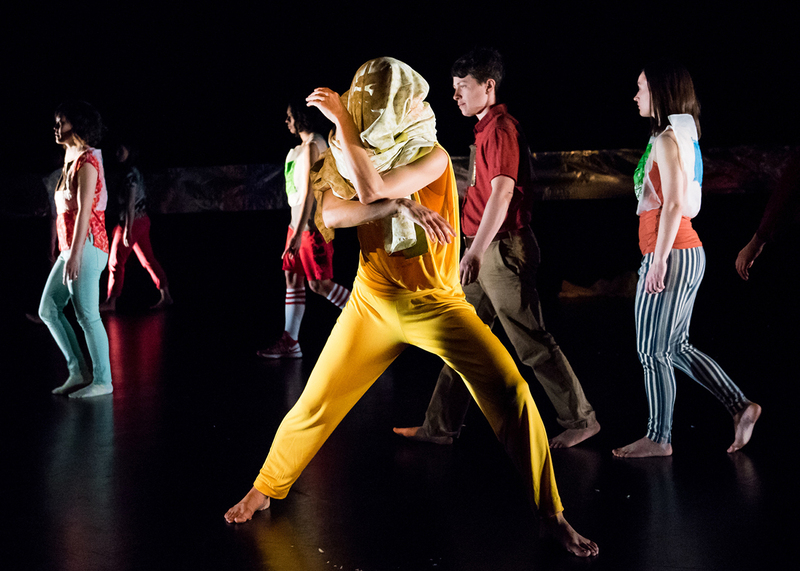 But as choreography – in the more expansive sense — it feels messy, full of gaps and missed associations. Nonetheless, there are some impressive images. I particularly like the climactic moment when Johnson announces the arrival of the whale in the room. When we were outside, under the tree, she told us that the whales were gathering out beyond the shore. It seems they have met us halfway, as if the stage were a kind of halfway lodge, a place for meetings and mergers. Outside, in the night air, everything seems so huge, gleaming with significance; crammed back into a conventional theatre space, it all seems trivial and confused. For example, on the stage at the back of the room there are some eucalypt saplings in black plastic pots. Compared with the trees in the park, the gesture seems somehow inadequate — a diminution and a misunderstanding. Still, it should be noted that SHORE in NARRM is a much larger performance installation event, and this performance is only one part of the experience. 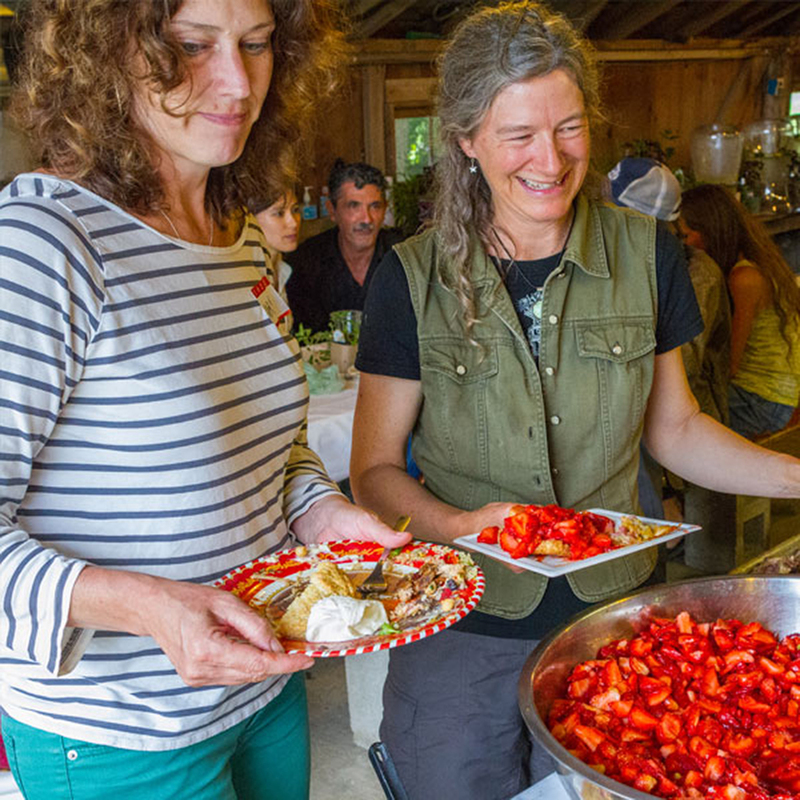 There’s also a day of volunteerism, a night of storytelling and, finally, a potluck feast. And Johnson insists that all of these, too, are part of the dance.